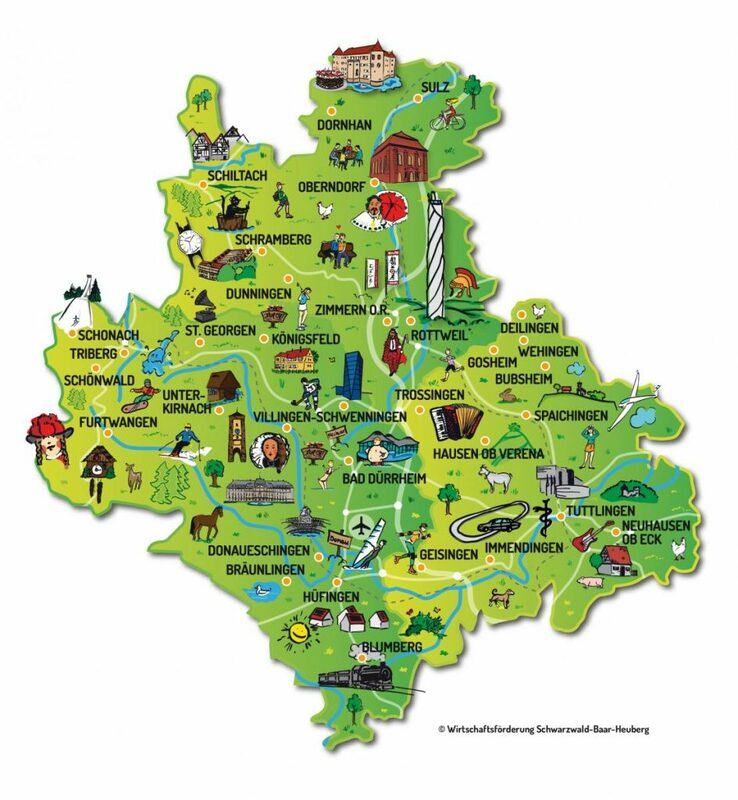 The Schwarzwald-Baar-Heuberg Region is made up of three districts –Rottweil District, Schwarzwald-Baar District and Tuttlingen District, with the district towns of Villingen-Schwenningen, Rottweil and Tuttlingen an the medium-sized centres Donaueschingen, and Schramberg and 71 other communities, covering 2,529 square kilometres in the heart of southwest Germany. Exactly in the middle of the Stuttgart-Zürich innovation axis. A region with almost 500,000 inhabitants – a robust economic location with an impressively dynamic economy and a high quality of life and leisure. Would you like to know more about our region?